After having lent its irreplaceable fragrance to many pots of Kaeng Liang, last year’s crop of lemon basil (maeng lak) left me with these. 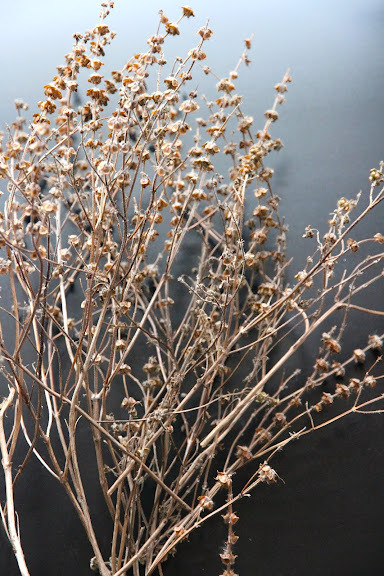 If I was in a more philosophical mood, I would have written something boring about my plan to plant another crop this year with these seeds and how that reminds me of how the death of something must take place in order to make a rebirth possible and all that. But since I’m not in a philosophical mood, I’m going to be writing something boring about how the Thai people use lemon basil seeds instead. And what makes it boring is the fact that there really isn’t much to talk about when it comes to the culinary use of lemon basil seeds. In fact, overwhelmed by the dearth of material, I’ll resort to writing in bullet points which, interestingly, is the same method I use when overwhelmed by the wealth of material. You want to read on, though. You’re already on the second paragraph; might as well stick around and see how much more boring this can get. As far as I know, lemon basil seeds are used exclusively in desserts and drinks — traditionally, anyway. If some chefs do use them in a savory dish, it’s more of a novelty thing. Seeds of all plants in the genus Ocimum, to which lemon basil belongs, are high in mucilage. This means, in theory, the seeds of other kinds of basil can also be prepared and used the same way. Why lemon basil (maeng lak แมงลัก) is singled out to be used this way in Thai cooking and not holy basil (ka-phrao กะเพรา) or sweet basil (horapha โหระพา), I have no clue. So why eat them at all? This is when I look away uncomfortably, pretending to be playing with my fingernails, whistling. The truth is that this is one of those things that you love without any particular reason. Is it how the hydrated seeds squeak when you grind them between your teeth? Is it the gelatinous mucilage? Nah. Is it possible I have a food fetish for things that look like frog eggs? Not entirely inconceivable, but unlikely. What exactly do I like about these seeds then? I don’t really know, and I can’t speak for my fellow Thais who seem to love them just as much, if not more. All I know is that even though I have never found myself up at night with an intense longing for its (non-existent) taste and texture, if I visit a dessert stand in Bangkok that sells assorted shaved-ice treats, and hydrated lemon basil seeds aren’t among the dessert components available, I can get cranky. 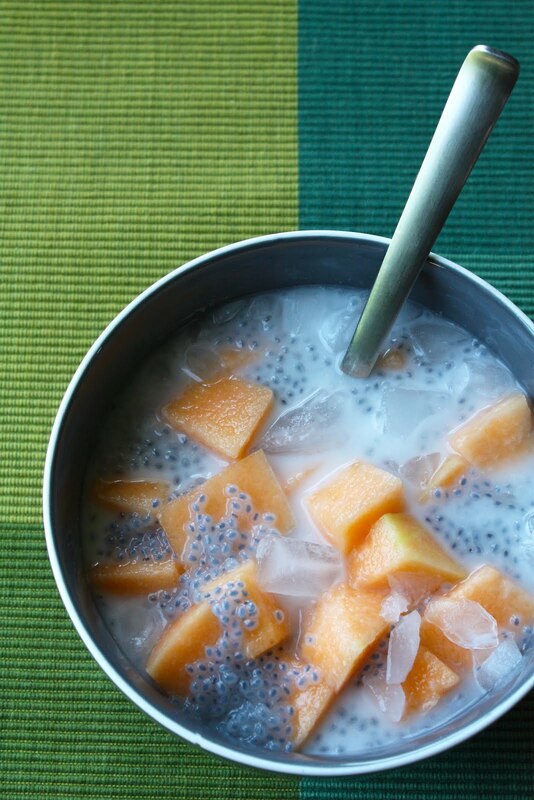 My favorite combination is cubed Thai muskmelon (taeng thai แตงไทย) and hydrated lemon basil seeds in sweetened coconut cream (that’s often perfumed with jasmine flowers similar to what you use to make Tab Tim Grob). Add some crushed ice to that and I’ll never complain again about how hot it is in Thailand during the month of April. 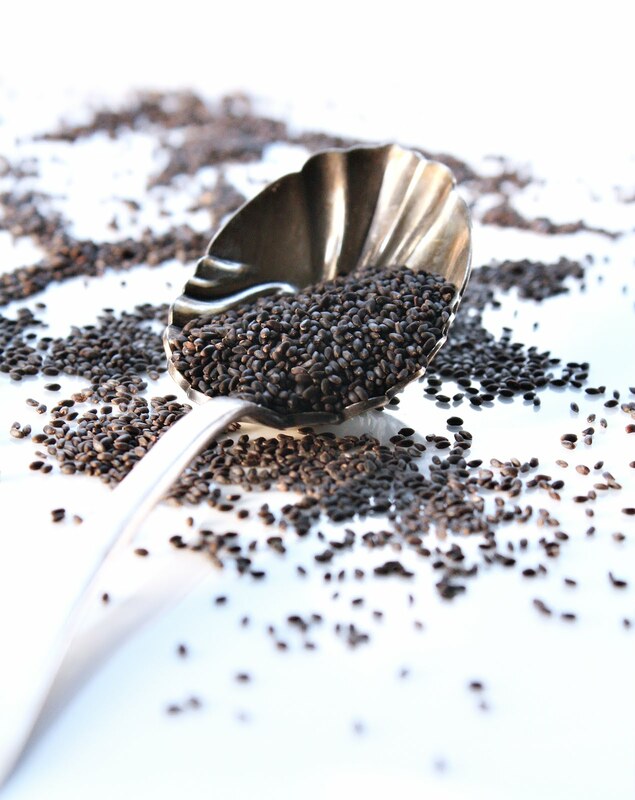 You can add a few tablespoons of these hydrated seeds to your favorite iced drinks, e.g. Thai iced tea, iced fruit juice. You can also use them as an ice cream topping or mix-in. 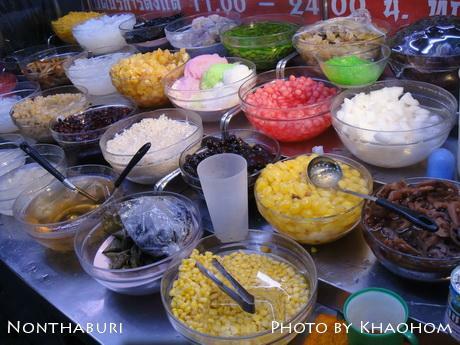 For my Thai readers, you know you already like this dessert. For my non-Thai readers, especially those who are still mentally stuck on the reference to frog eggs above, this could take some heavy convincing. If you feel adventurous, do give this a try. After all, these basil seeds have some health benefits due to their fiber content and the high level of mucilage. Several weight loss products (tea mixes, coffee mixes, etc.) employing these seeds have been in the Thai market for years, though, to the best of my knowledge, their effectiveness has never been confirmed. If you’d like to give these seeds a try, you can prepare them by soaking them in room temperature water (that is clean enough to drink). On the average, you’ll get about one cup of fully-hydrated lemon basil seeds from soaking about one tablespoon of the seeds in water then draining off excess water after the seeds become fully hydrated (this should take less than 10 minutes). You can keep the hydrated seeds in an airtight container in the refrigerator for up to 2-3 days before they start to develop an off smell. I told you this post would be boring. Sounds so interesting… I can’t wait to try this! There is an Indian dessert called Falooda that uses these seeds. You will love it . Its very easy to make at home provided you find the rose syrup. Not boring! I love these frog eggs 😉 Although I knew they were basil seeds, I’d never realised they were lemon basil. Love your very informative posts. i personally like them and i used to call them tadpole eggs… i’ve only ever had them in a vietnamese dessert, grass jelly and its sour notes is quite pleasant in the heat of summer. Leela, thanks for this post, not boring at all! I don’t have a sweet tooth, but I love shaved ice, and always order it with basil seeds. It’s just fun and pleasure to feel them on the tongue, they give just the right little kick. boring? absolutely not! I am a cook and a bartender, and use the canned version in a few drink recipes not only for the sweetness they impart, but for the visual appearance. 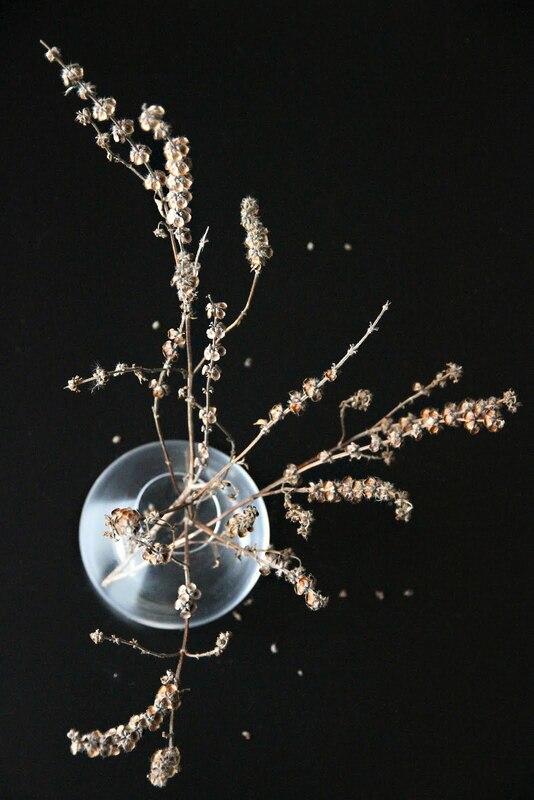 They weigh down to the bottom of a martini glass, and are mesmerizing. Unfortunately, my access to the canned basil seed drink is limited, and have been trying to create an acceptable substitute to no avail. Thank you for stating the obvious! Anon – Great idea! Some of the best chefs in the country apparently think along those same lines. 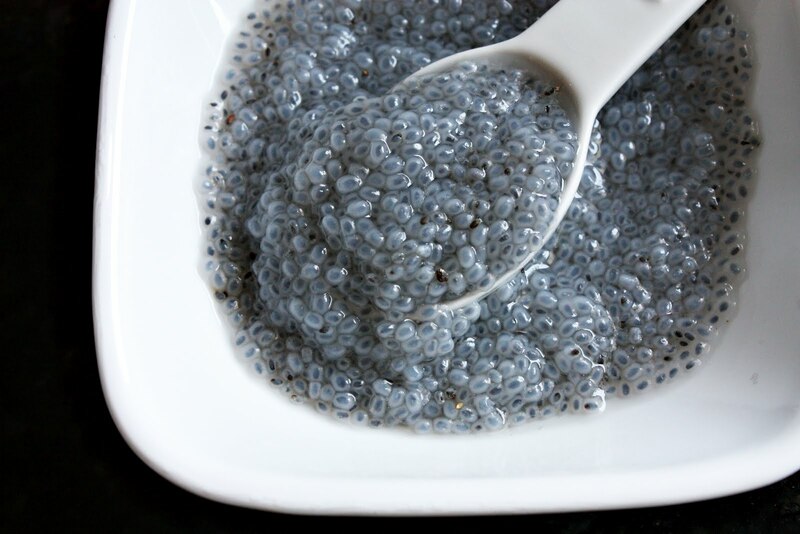 Check out how Curtis Duffy has used basil seeds in his dessert.